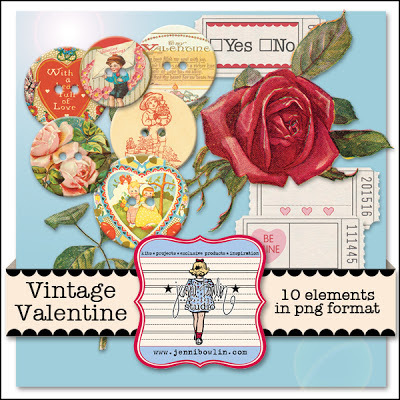 We have a beautiful new digital kit for you today just in time for Valentine's Day projects: Vintage Valentine. 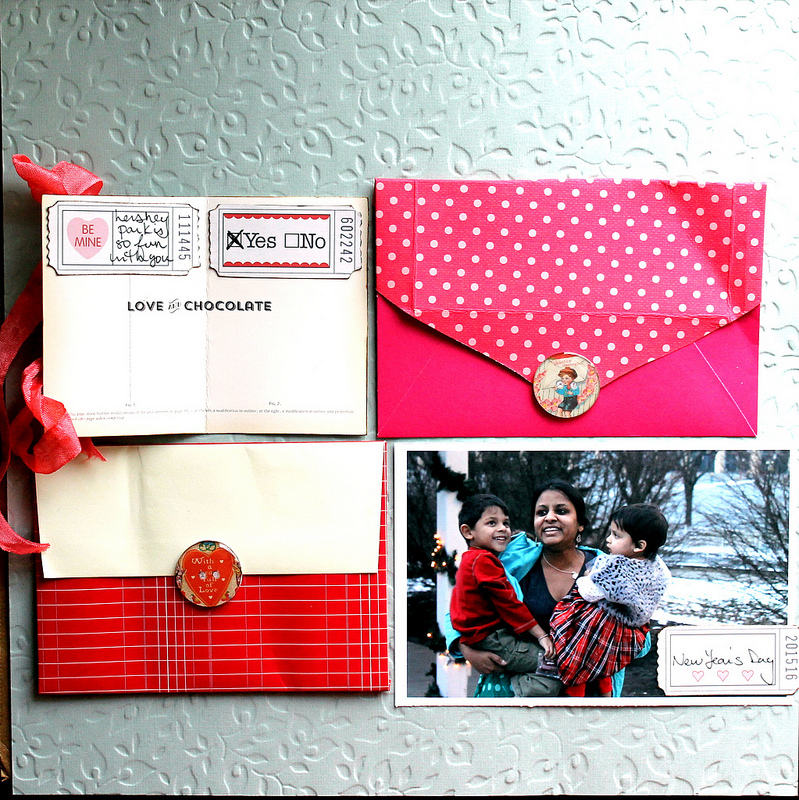 This kit contains 6 JBS Chipboard Vintage Valentine images, 3 Valentine Printed Tickets, and a beautiful rose image. Do you remember those chipboard Vintage Valentine buttons when they were offered as real tradition scrapbooking product? They sold out so quickly, but now you can have them forever! 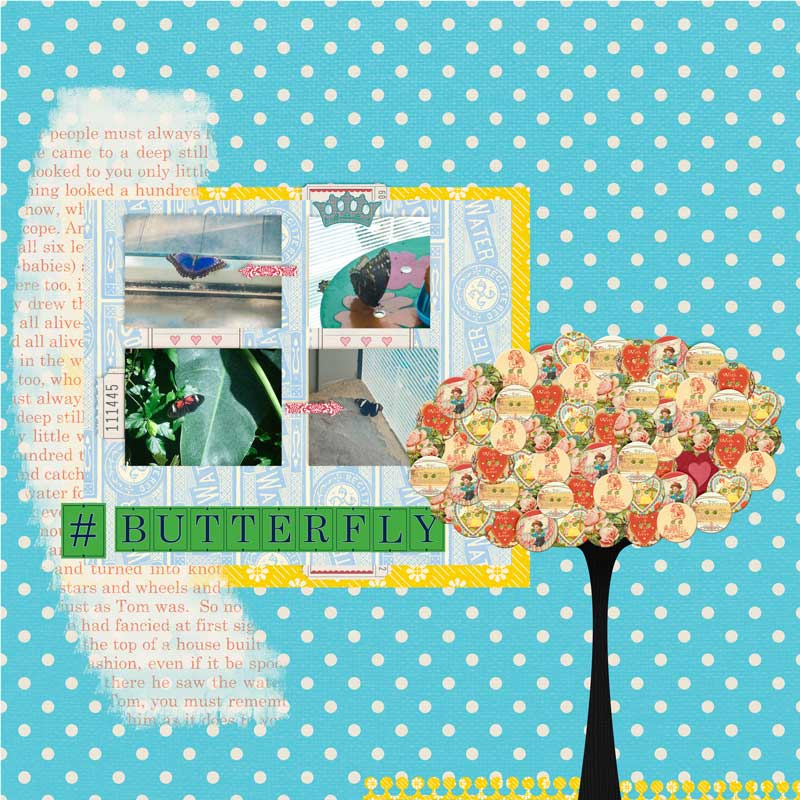 Creative Team member Nirupama Kumar created actual buttons from the digital images and used them along with the tags and some JBS paper on this striking layout. 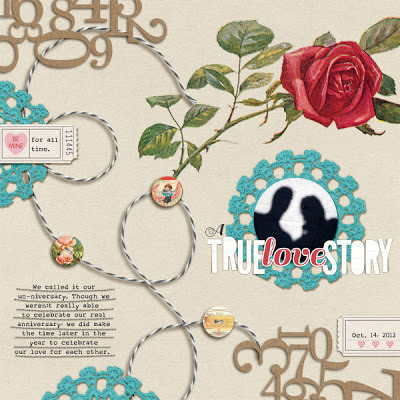 A True Love Story by Amy Kingsford | Supplies: Jenni Bowlin Studio: Vintage Valentine; Gennifer Bursett: Made of Awesome; Anna Aspnes: ArtPlay Solids: Simplicity. Supplies: Jenni Bowlin Studio "Vintage Valentine", "Printed Ticket Stars", "Printed Ticket Girl", "Red Black Extension3", "Valentine Bingo Card Kit", "Vintage Calendar", "Butterfly Rub-On", "Vintage Cream&Black Collection" // Juliana Kneipp "With All My Heart", "Old Sweet Times" // Mye De Leon "A Mother's Heart", "Patchwork Of Love"
thank you Creative Team for inspiring us today with such beautiful works of art! 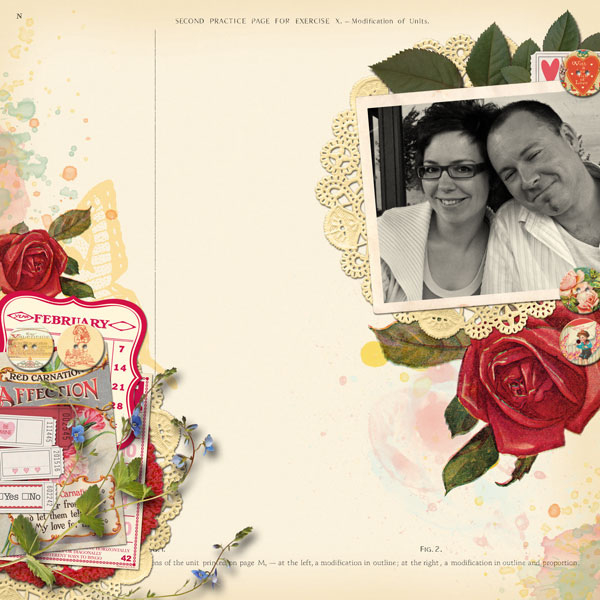 Stunning projects, and this is just a gorgeous digital set...love that rose especially!